For the last 5 years PPCR has worked with Colville Tenants and Residents Association Committee (CETRA) to ensure the best deal for tenants and residents in the regeneration of the Colville Estate – the demolition of 436 homes and rebuilding 850. This has meant forging a working relationship with Hackney Council and Hackney Homes. We have met regularly with the Deputy Mayor (lead council member for regeneration), senior officers from Hackney Council, both at the monthly Regeneration Steering Group meetings and also on many other occasions to try and get the best deal for everyone affected by the regeneration. Our involvement, along with the residents covers big subjects - like finalising the design and look of the next phase of new homes, which was granted planning permission 6 months ago, developing the Leaseholder Options Offer, putting into practice the Local Lettings and Decants Policy, through to taking up the cases of many individual tenants and leaseholders who have had to move, or are about to move. 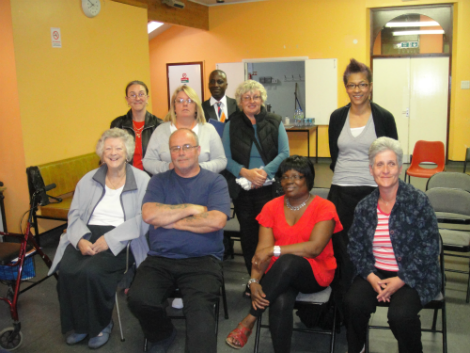 The CETRA Committee represents the tenants and leaseholders of the Colville Estate and has been working tirelessly for the past 7 years pursuing regeneration options for the Estate. (Please see interview with Maggie Worster, Chair of CETRA). PPCR was appointed as the ITLA (Independent Tenant and Leaseholder Adviser) 4 years ago, re-appointed last year and work alongside the Committee on all the issues affecting the regeneration of the estate. Two years ago, Hackney Council approved the outline Masterplan for regenerating the estate. Since then we have worked closely with the architects KCA, on the details for the 1st, 2nd and 3rd phases. There is still a long way to go and the phased redevelopment of Colville is planned over the next 7 years. 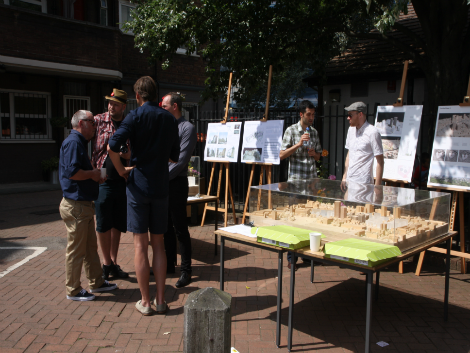 We are working alongside CETRA to make sure this is a Council and Community-led regeneration. Colville lies at the heart of regeneration in Hackney and has led the way in the Council developing a new strategy for regeneration for the whole Borough. This is a strategy that will have Hackney Council and local residents leading the way together. This is an exciting venture.